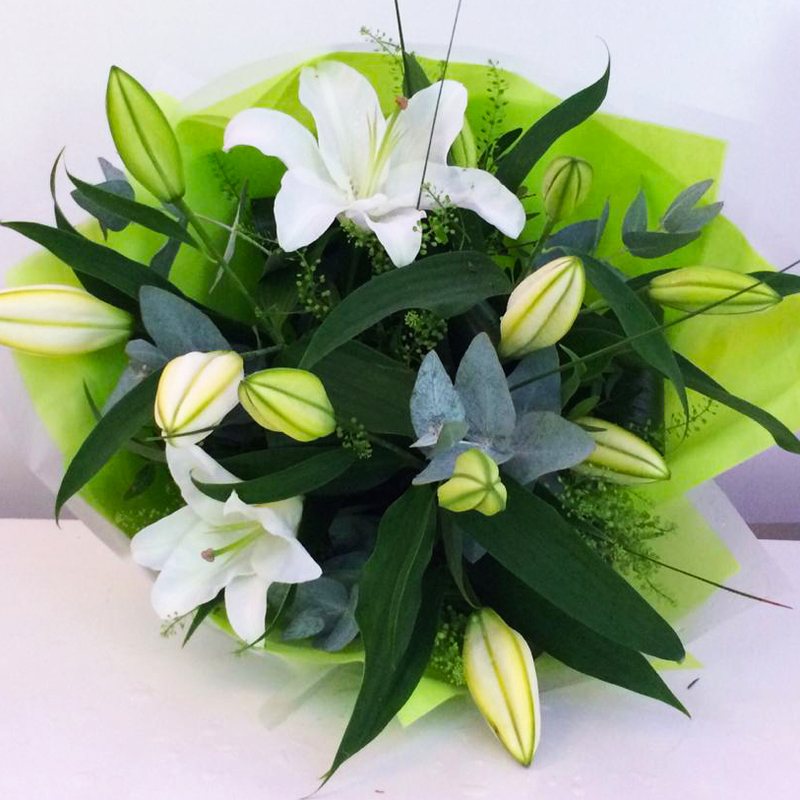 For Simplicity and Elegance our, long lasting, White Lily bouquet is the one for you. Hand tied with the best Oriental lilies money can buy with beautiful foliage. Stunning!